This week, we continue our series on where to stay before your summer yacht charter with our South of France edition. 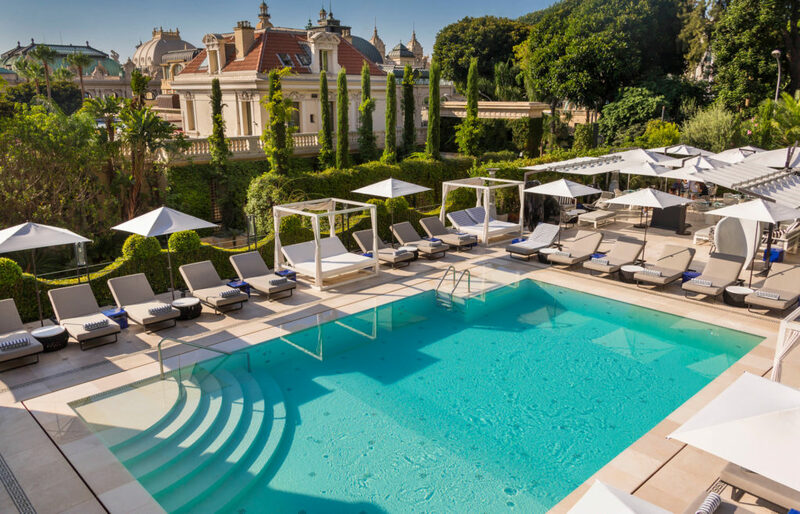 We could easily have selected the Hotel de Paris in Place du Casino or the Hotel Hermitage in Square Beaumarchais, but the Hôtel Metropole is another standout resort for you to enjoy before your French Riviera yacht charter. You will fly into Nice International Airport and transfer to Monaco. Your Boatbookings Broker can organise a transfer with one of our Chauffeurs, a Van Dutch motor yacht or Helicopter. 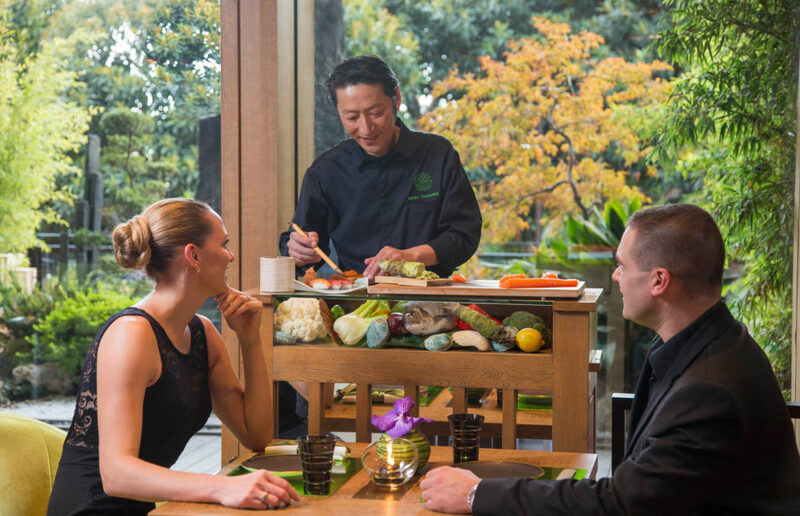 Enjoy lunch at 1 Michelin starred Yoshi, sampling some of the most authentic Japanese cuisine in Europe. After lunch, pamper yourself all afternoon in the Givenchy Spa, before dinner at the 2 Michelin starred Joël Robuchon. There is no better way to prepare before your French Riviera yacht charter. Embarking at the Royal Yacht Club in Monaco is the perfect place to meet your superyacht before exploring St Jean Cap Ferrat, Cannes and St Tropez. 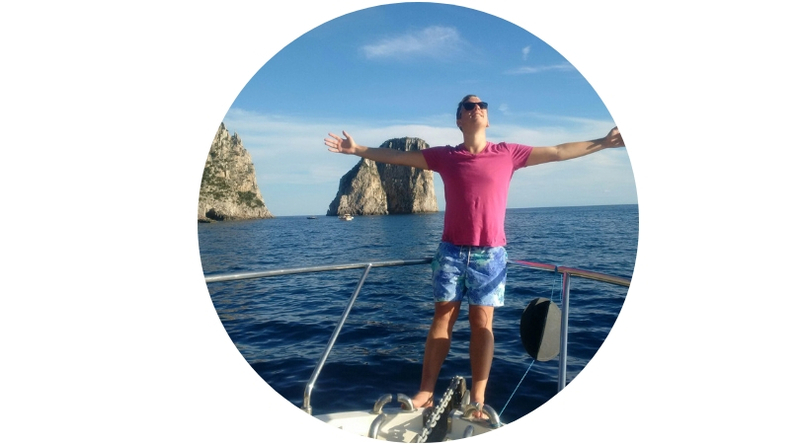 There is no better time to book your Cannes yacht charter and work with your Boatbookings Broker to secure your port places, beach club reservations and design your bespoke itinerary. 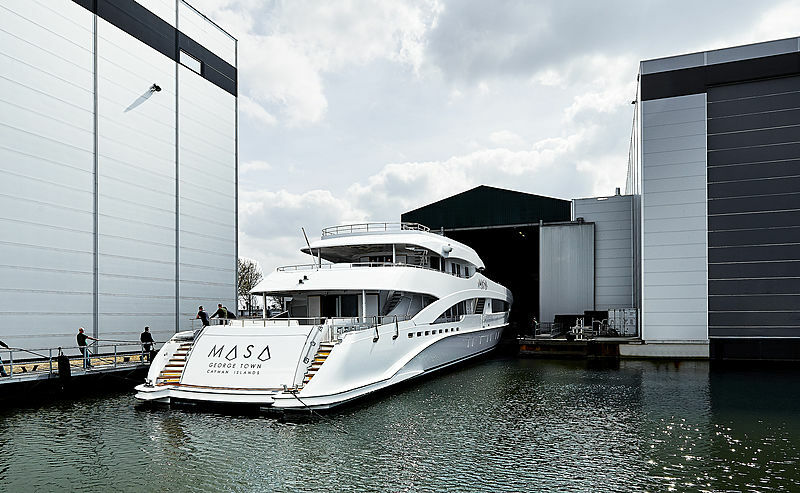 Heesen have just launched MASA, their eighth yacht from the 5000 Aluminium Class. Omega Architects, responsible for designing the exteriors, created a stunning sporty profile. 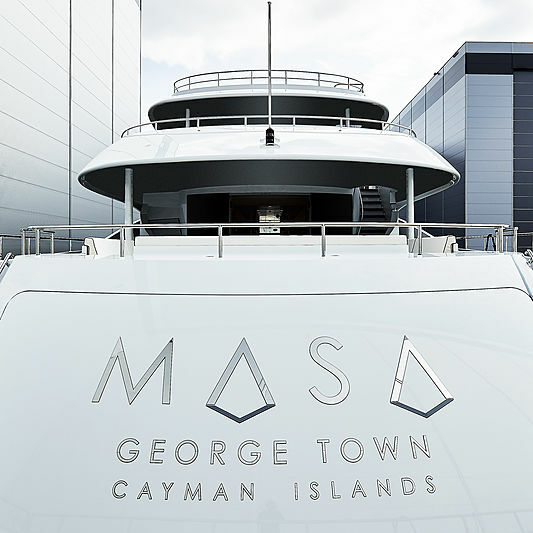 MASA will undergo extensive sea trials before delivery to her owners in time for the Mediterranean summer season. 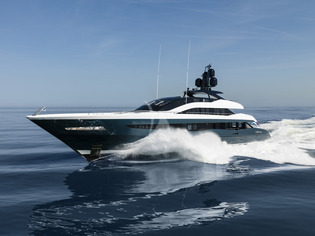 Heesen Superyacht Masa will accommodate 12 guests in 6 stunning cabins. Accommodation spaces will include the main deck master stateroom, as well as five suites below deck. MASA runs twin MTU 16V 4000 diesel engines, which propels her along at a top speed of 23 knots. Wherever the owners cruise this summer, Masa will turn heads in every Mediterranean hotspot; watch this space Cannes, Monaco and St Tropez! 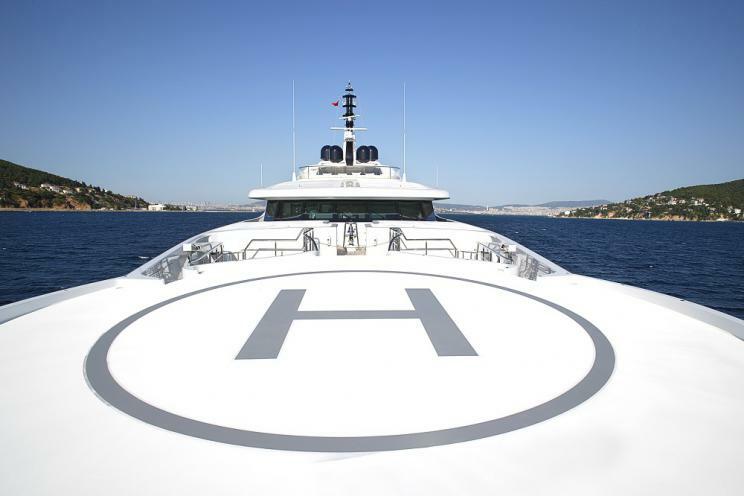 Although MASA will not be available for charter, Heesen Motor Yachts are superb charter yachts. Offering excellent craftsmanship and build quality, charter guests will enjoy impressive leisure facilities, entertaining spaces and unparalleled comfort. We have a fantastic range available throughout the world and your Boatbookings Charter Broker will be happy to prepare a presentation for your review. This week we are introducing to you IRISHA, an easy pick for Super Yacht of the week due to her sleek, sporty and stylish appearance. With a cruising ground of the celebrated Sardinia, as well as the fabulous French Riviera, she turns heads along the coastline with her sparkling metallic blue hull. IRISHA is a desirable length, at 51m, as she is sizeable enough to enjoy luxury and spacious areas, yet not too large to get into most ports and anchor far away from shore. 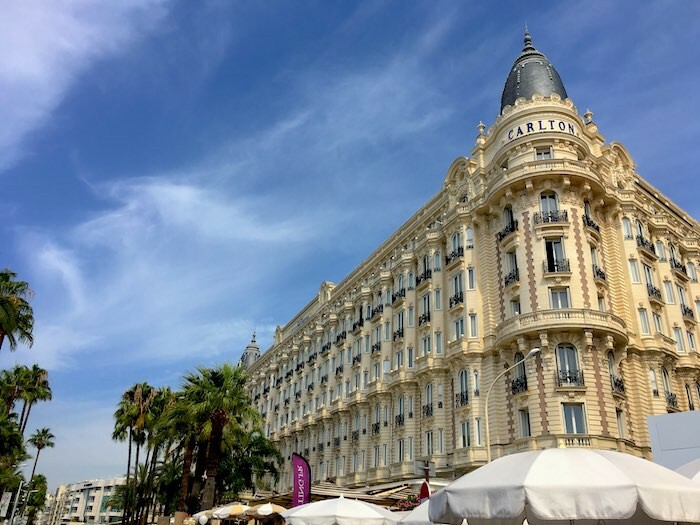 With a top speed of 25 knots, you could enjoy a day of cruising along the Riviera, visiting the glamorous Monaco and vibrant Cannes in one day. IRISHA’s all glass cockpit is a feature you will immediately notice, which allows light to spill through the interior. 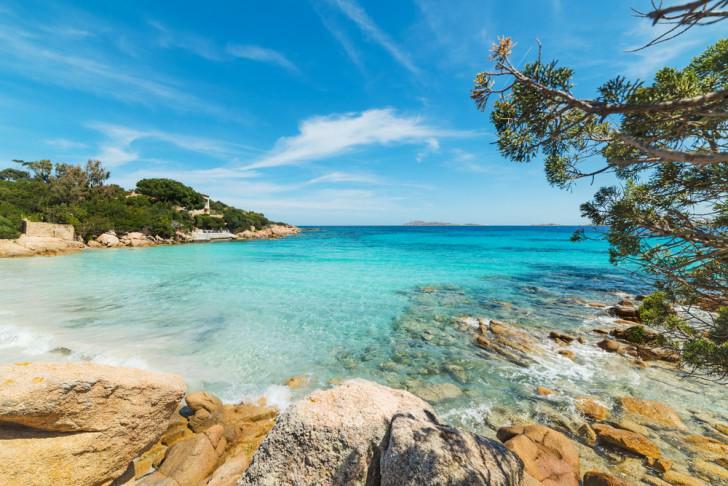 Head to La Maddalena Archipelago, a beautiful set of beaches in Sardinia, and watch them get closer as you laze around in your private Jacuzzi on the top deck. On the bow, a second seating area is the ideal place for admiring the views, such as the dramatic cliffs of Bonifacio. Pull up in a prime spot berth in a destination of your choice, and set foot in the quaint and colourful towns, have a beverage on the harbour or do a spot of shopping, whatever takes your fancy! The crew of 9 are on board to ensure you are having the best possible time, including recommending the hotspots as they know the area well. If you are looking to unwind, IRISHA boasts a wellness area, complete with sauna and a massage table is located in the beach club. The interior of IRISHA is lavish, elegant and oozing with glamour. The 5 cabins are unique, yet share a commonality of sophistication. Enjoy the natural light, exquisite detailing and plush furniture. Wake up in the master, and step onto the French balcony to soak up the surroundings in the morning. The main saloon is also a popular spot for a nightcap, board game or watching the latest films or sports matches. If you seek peace, tranquillity and harmony, this is where the name IRISHA derives from, so you are sure to find on this private yacht! Contact us now to put in an enquiry, so you can arrange a memorable summer. The moment you board SEVEN SINS you will share our enthusiasm for this super yacht, she is 52m of incomparable luxury, from the dining, lounging and relaxing options. The pictures speak for themselves and illustrate the bespoke experience you will enjoy either in the Caribbean Islands or the western Mediterranean. 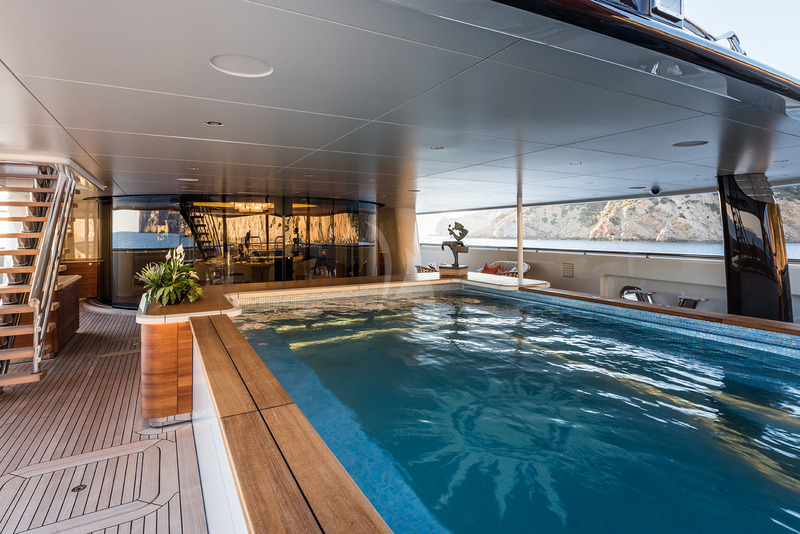 Our favourite feature has to be the large infinity pool that glistens on the aft deck! This is one step ahead of most yachts that have only a Jacuzzi, as you can fully take the plunge on the comfort and privacy of your yacht. Just below, there is a fantastic beach club, so you can anchor off the coast of Villefranche or Cannes where you can enjoy panoramic views as well as complete isolation to avoid the busy beaches. The Caribbean is also a cruising ground for SEVEN SINS; imagine sinking into the smooth and inviting waters from the luxury of your sun lounger. You can’t get closer to the water than that! 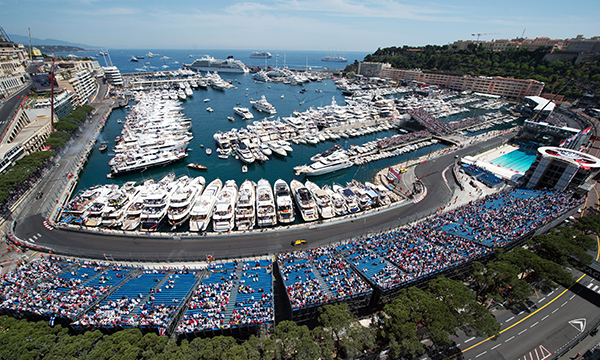 The crew will willingly tender you ashore to explore the quaint towns of Eze, or the infamous Monaco, so you can have a coffee in the lovely Café de Paris and stroll around the F1 racetrack. When you are ready to return to your private yacht the chef will begin to prepare a delectable dinner. This is one of the many perks of chartering, a fantastic meal prepared around your preferences, in an exclusive and wonderful setting. Dine on the large aft deck table, with a gorgeous backdrop of colourful houses, hilltops and a sunset. SEVEN SINS welcomes up to 10 guests in 5 stunning suites, each one being meticulously appointed and fully customised. The best motor yachts get booked up fast, naturally, so get your enquiry in soon so we can help secure SEVEN SINS for you! HERE COMES THE SUN is a fitting name for a yacht that explores the sun-filled destinations, as well as brings the sunshine wherever she cruises. This 83m Amels beauty claims Super Yacht of the Week for a variety of reasons; her exotic cruising areas, outstanding deck features and unique wellness and spa amenities. She explores sought after destinations of South America, Alaska and California in the summer, before heading over to the French Polynesia, New Zealand and Seychelles in the Autumn/Winter. This sets her apart from other yachts with a riveting itinerary and chance to explore undiscovered gems. The exterior of this Tim Heywood masterpiece is jaw-dropping to say the very least. Stroll to the bathing platform after an al fresco breakfast and stretch out on the comfortable sunbeds, with a dazzling backdrop of your chosen cruising area. The infinity pool onboard M/Y HERE COMES THE SUN – Image credit: Yachtfolio. When you need a refresher, head to the main deck where you will find an ‘Instagrammable’ infinity pool. Once the yacht is underway, a popular spot is the sundeck which offers shade, sunbeds and a Jacuzzi with panoramic views of the ocean and captivating coastline. The interior of HERE COMES THE SUN is equally lavish. The owner’s suite is a marvel, with panoramic windows providing gorgeous views to wake up to in the morning. The interior matches the lively splashes of orange that ooze through the exterior, adding to the vibrant atmosphere of the yacht. The natural woods create a calming and neutral tone, which adds sophistication and a contemporary feel. 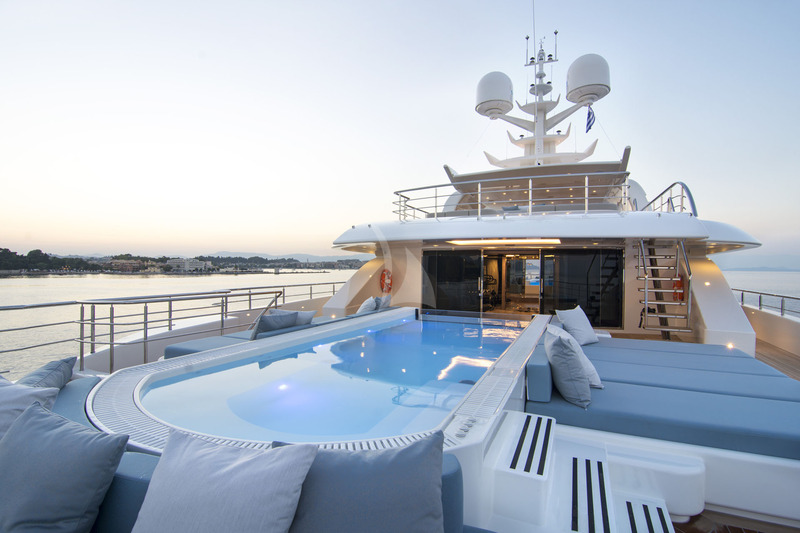 In case you aren’t relaxed enough, this yacht boasts a private deck wellness and spa! Get sweltering in the sauna and steam room, enjoy a massage or workout in the gym to stay in shape. To top off this relaxation, enjoy an evening in with a theatre room to screen the latest premieres in the comfort of your private yacht and great company. If you are looking for an indulgent, majestic and glamorous voyage, HERE COMES THE SUN is the yacht for you. If you agree with our enthusiastic opinions, enquire with a broker to find out more. HERE COMES THE SUN is available for charter in many fantastic destinations: the Caribbean including the Bahamas and Windward islands, the South Pacific including Fiji and French Polynesia and Australia! In the summer she is even based in the East Med, in Greece, Italy and France. She is for charter starting at €1,200,000 per week plus expenses. 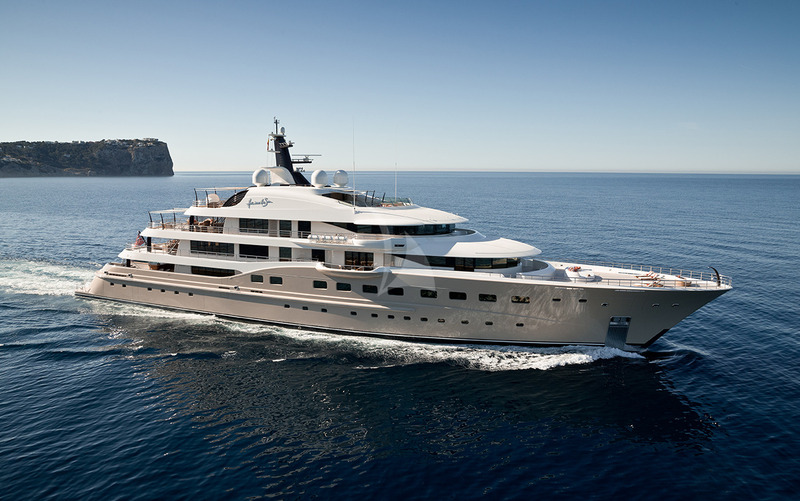 Please contact Boatbookings for more information on superyacht charter. The Peaks of Luxury: How Big and Bold are these Boats going to Become? At the sheer astonishment of such a hefty price tag for- well, no one can disagree that SAVANNAH illustrates the snowy peaks of haute-décor luxury, I began my descent down a marble-coated, golden-detailed, velvet-carpeted rabbit-hole with one burning question in mind: How far are these Superyachts going to go in order to obtain new standards of luxury? I remember, when I was younger, a 50ft yacht was a very impressive sight; lining the harbours of Monaco, Greece and elsewhere around the world; I remember gazing in awe and wonder at any and every boat- big or small. Now, as I get older, I find myself only really looking for the larger yachts; the 100+ footers- the Megayachts. Gargantuan vessels, bright white, like icebergs jutting out of the ocean- an air of calm serenity floating around them, slowly moving across the horizon, dwarfing both people and other boats in comparison. Speculation over who owns them and what the interior is like is all part of the excitement upon encountering these yachts, and one can only imagine the swathes of leather, antiqued wood and Italian marble that spectacularly crowns the inside of these floating palaces. Although, since working in the yacht industry, I have to admit I’ve become slightly desensitised to a lot of these ships. 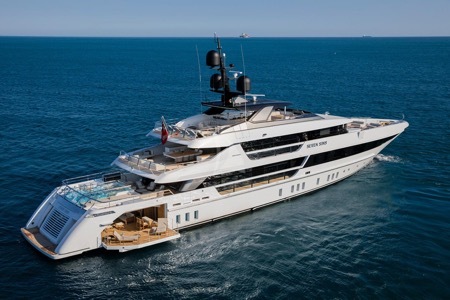 Superyachts like VICKY, a 73m Turquoise, and O MEGA, a Mitsubishi Heavy Industries 83m Megayacht, with all the bells and whistles one expects of a Superyacht, is perhaps starting to become the norm of the luxury industry. This is an industry that will always go by comparisons, with the same question in mind: How can we make it better? VICKY’s helipad- don’t worry, there’s a plunge pool round back! Does this mean more gold? More marble? Rarer wood, and fancier light fittings? Does this mean just bigger in general? Stretching 150ft to 250ft? I think, maybe, this means a lot of different things. All yachts have to be manufactured under certain terms and conditions; such as SOLAS and PYC, which ensure the safety and structural integrity of the vessels. All of these conditions limit the extent to which Superyacht manufacturers can go regarding design, shape and size. However, where manufacturers may be limited in some aspects of Superyacht design, it’s opened-up a Pandora’s Box of innovations within the technological side of manufacturing. Going back to SAVANNAH, with the underwater viewing salon, that was only made possible due to the advancements in glass technology and the invention of Gorilla Glass. 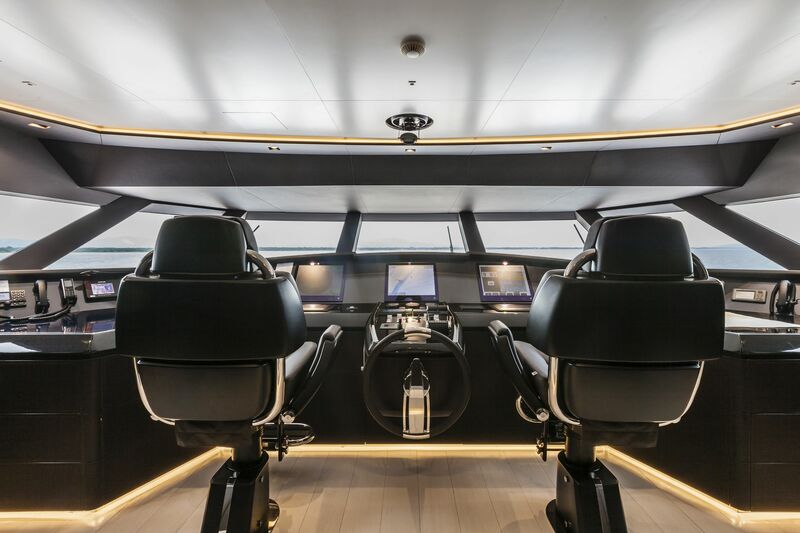 Progression in computing technology has allowed for much more precise navigation of these Superyachts, allowing the captains to get a more intimate feel for the waves and surroundings, meaning that sailing on through the night will be absolutely no issue! Advanced controls in the wheelhouse also means more control over the yacht itself; security measures such as locking systems, cameras and alarms are all computerised now, so, although you may not see it, it can almost certainly see you! But, more advanced tech doesn’t just mean stronger glass and computerised security, it also means more fun, more luxury, more comfort- it just means more! Lightweight construction material such as aluminium has vastly reduced the weight of these ships whilst maintaining the strength of the superstructure, resulting in more room for the fun stuff: that bigger jacuzzi, more gym equipment, more toys and maybe even a bigger tender. It has also opened up a plethora of options for new designs, due to its malleability. 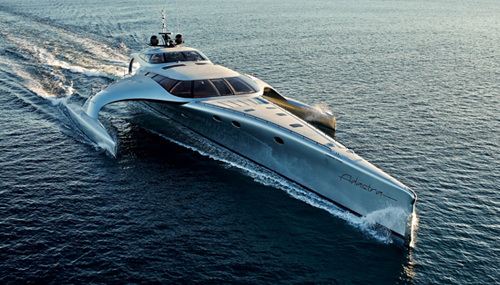 Some Superyachts nowadays look more like spaceships than boats, for example the Superyacht ADASTRA by John Shuttleworth Designs. With boats like this making full use of the modern technologies and new materials being created daily in the construction world, it really makes you think about the future of the luxury Superyachts we have become accustomed to! Whilst the future of Superyachts may be an open book, the one certainty is that- whatever the next move- Boatbookings will be ready to welcome the next generation of nautical vessels with open arms, and provide you with an experience of luxury, technology and innovation!